There is the odd occasion when the creative juices flow and for some reason, dredged up from the very depths of taste and perhaps even some visual. Every now and then, something good comes of it. Last night I must have been inspired, it was delicious. 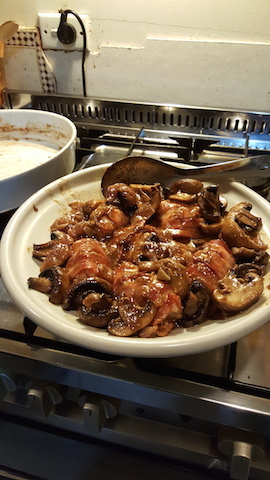 There was a tray of chicken thighs, some bacon, a bag of Swiss brown mushrooms, a red onion, some fresh garlic, a bottle of our very own PW Anchovy Essence, in the garden some fresh sage, a bottle of cream, a bottle of West Indian style Chilli Sauce, a bottle of good Balsamic. My original idea was to wrap the beaten down thighs in bacon and grill them, but the thought that more flavour could be added was too enticing. As has happened many times in the past, I swung directions and let my eyes, taste buds and hands do dinner. I think chicken thighs are a good thing, they are a much better flavour than breasts. I like to flatten them a bit, this can be done between two sheets of plastic and a food mallet, not too thin. I then took a tablespoon of Anchovy Essence, blended that with a couple of cloves of garlic I had crushed, added about eight sage leaves shredded, some black pepper. This mix I then spread on the thighs and rolled them, bacon covered the outside, these I laid in an oval white ceramic roasting dish accompanied by a large red onion that I had thick sliced into four, I then drizzled them with a small bit of olive oil and about half a cup of cream. Into the oven at 150 Celsius for an hour to slow cook. I then halved twenty medium mushrooms and after one hour, added them to the roasting dish, but not on top of the chicken, added some more cream, maybe a 1/4 cup and back to the oven for thirty minutes. 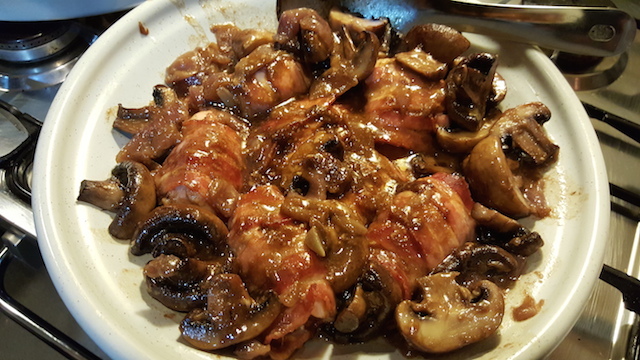 At the end of thirty minutes the mushrooms were cooked and I removed the chicken to a plate to keep warm, I then reduced baking dish with mushrooms and onions until the cream and liquids had become emulsified, a splash of balsamic and a dash of chilli sauce when the reduction had thickened. 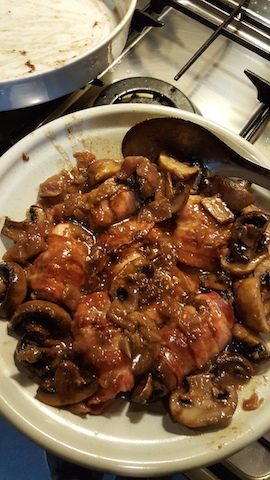 Placed the chicken on a serving bowl, put the mushrooms around the outside and poured the sauce over. It was delicious served with rice. 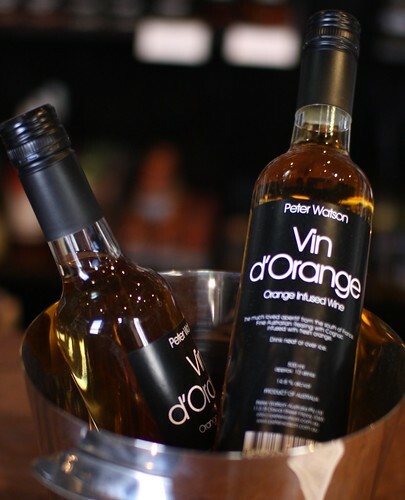 ~ by peterwatsonfood on September 1, 2015.